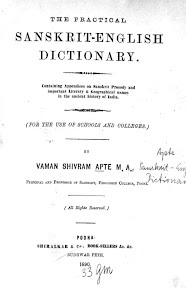 Apte, Vaman Shivaram (*1858 in Asolopal (Mahārāṣṭra), †9. Aug. 1892). - Indischer Indologe.